Highly Flexible & Customizable to Meet Your Needs. Seamlessly integrates with ERP and your entire technology suite. giving you valuable insights into your operations, marketing efforts, and customer needs. Faster Checkouts – Say goodbye to page reloads. Customers can check-out quickly. Predictive Search ‘Add to Cart’ – Customers can Add to Cart directly in the Search Bar after typing just a few characters. Rapid Order Entry – Expedites the ordering process by allowing entry of information/SKUs into an order box. CSV Import – Allows customers to import an order via an Excel sheet and check out. No need to dig through the site. Reorder Recently Ordered Items – Simplify the process of reordering for customers who often make the same order. Credit Card Vaulting – Credit Cards are completely secure, and not stored on your ERP system or Website. It’s in the payment processor. Matrix Ordering – Simplify complex product ordering with a Matrix that allows customers to combine different features that create the product they want. Multi-User Account – Can create “Master” accounts, and “child” accounts for more security with controls. User Account Dashboard – Beautiful and feature-packed dashboard that gives users a detailed view of their activity. Credit Limit – Set credit limits and ACH processing. 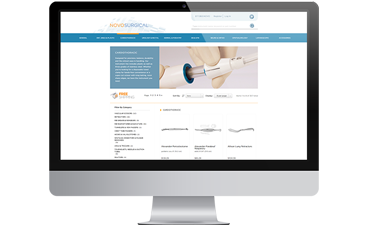 Customer Based Catalog & Pricing – Allows you to market to certain customer bases, and price accordingly. CSV Order Export – Customers can easily export their order history for import into their own ERP systems. Administrator Analytics Dashboards – Gain valuable insights on customer behavior. eCommerce Goal Tracking – Create and track your company’s initiatives and goals. Integration Ready – Integration ready for more powerful analytics tools. ERP – Sage 100, Sage 300, Sage X3 and more. CRM – Salesforce, Sage CRM and more. Marketing Automation – MailChimp, Constant Contact, Bronto and more. Product Recommendations – Market to customers based on behavioral patterns to improve sales. Lost/Lapsed Program – Market (via email or a promotion) to older leads to help them make repeat purchases. VIP Program – Market to your most important customers. Landing Pages – Create unique landing pages for specific marketing campaigns. Responsive Design – Rich, engaging and appealing web design. The Net at Work Advantage. More than just eCommerce – Two decades of experience in all facets of business technology. 200+ Consultants – Expert advice from experienced and knowledgeable consultants. Agile & Fast Results – Fast, responsive, real-time updates. Certifications – Including Magento, WordPress, PMI, PMP, MCSS and more. 13 Locations Across North America – Face to face support when you need it. 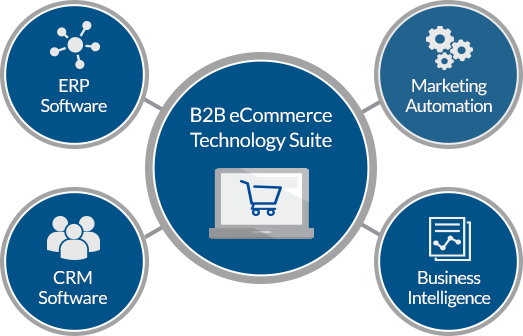 Our solution is powered by the Magento Enterprise Edition, a commerce-focused, flexible platform that powers you to give your B2B customers a B2C experience.